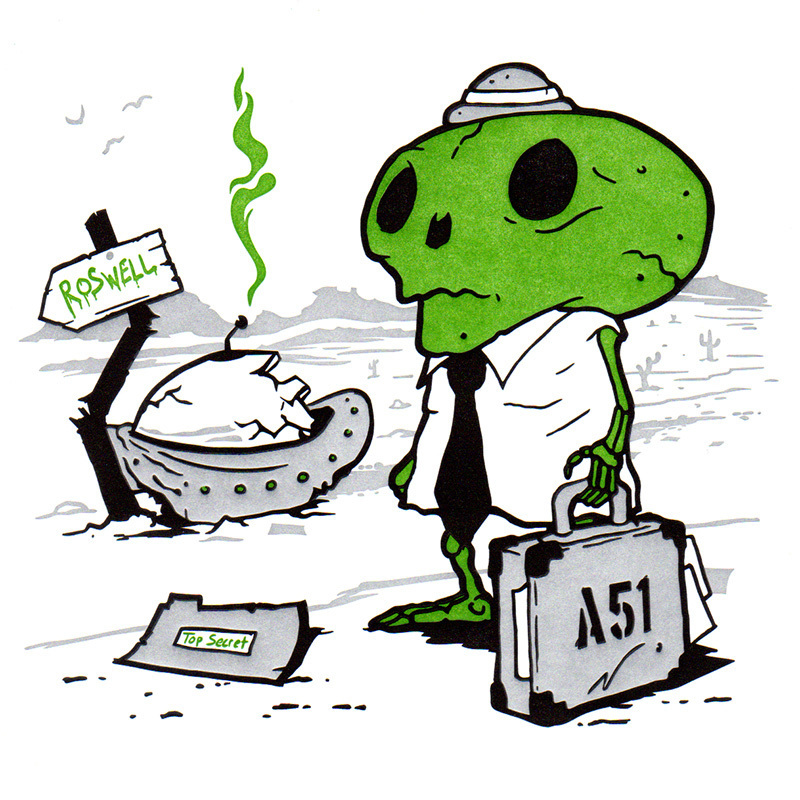 In early July 1947 a mysterious field of unidentified debris was found near Roswell, New Mexico. The government sent some of their best “agents” in to investigate... but we may never officially know the truth. Thankfully, Andrew Bell knows what they found, Karoshi San! 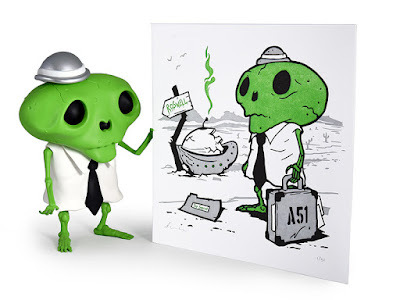 Along Bell’s Area 51 Edition Karoshi San vinyl figure, the artist has released this matching Karoshi San Area 51 letterpress print. 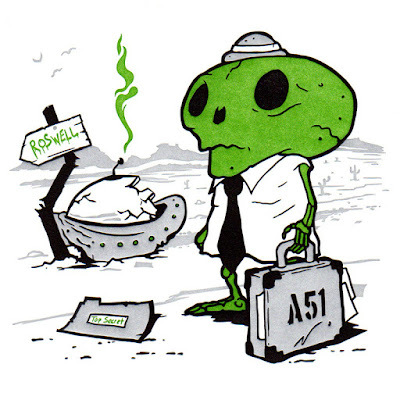 “Karoshi San Area 51” by Andrew Bell is an 8”x8” 3 color letterpress print on bright white paper. 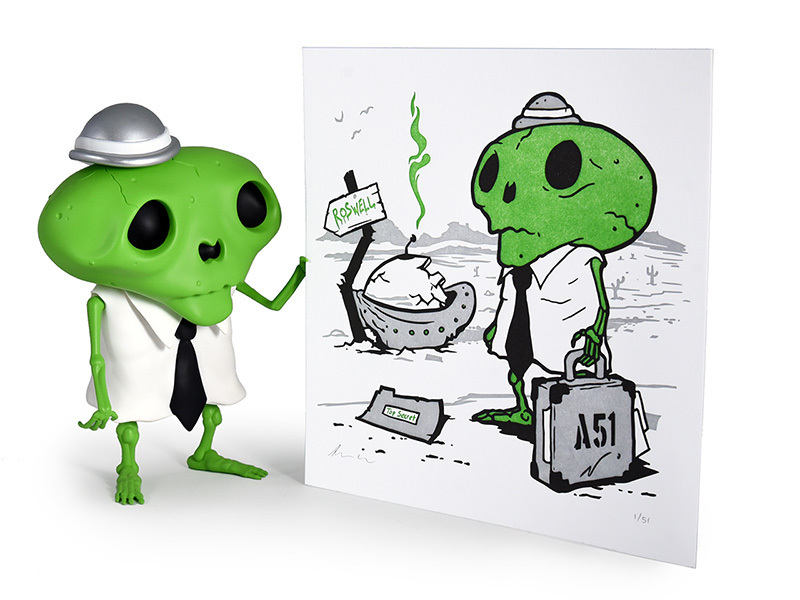 Limited to 51 pieces, this signed and numbered print is available now at the Dead Zebra online store for $30.